The Ashford Park Elementary's Reading Bowl team, started for the first time by Teacher-Librarian Dr. Leticia Ekhaml in 2006, is organized at the beginning of the Fall Semester in the form of a book club. Students are either invited or recommended by their homeroom teachers to come to the orientation meeting. In some special cases, parents can recommend their children or students can recommend themselves to the teacher-librarian. Reading Bowl meetings are held on Thursday at 2:15 pm in the Media Center. During the meetings, students give a summary of the books they had read and have to be ready to answer questions posed by the participants. By November, the teacher-librarian makes the final selection of the team by following certain criteria such as students' attendance at meetings, positive attitudes during meetings, faithful reading of the required books, and exemplary performance during mock quiz sessions using the buzzer. 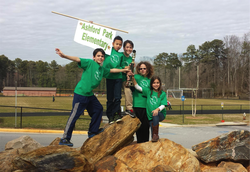 Only five students are selected near the end of November of each academic year to serve as major players for the Ashford Park Reading Bowl team. Another five are selected to serve as alternates. This group then prepares for the district tournament held early the next year. In the very beginning..........The district-wide Helen Ruffin Reading Bowl was started by the late Mrs. Helen Ruffin, a library media specialist at Sky Haven Elementary School in DeKalb County, Georgia. Mrs. Ruffin served on the selection committee for the Georgia Children's Book Award Nominee program. This program is sponsored by the Department of Language Education at the College of Education of University of Georgia in Athens, Georgia. Mrs. Ruffin was inspired to use the nominee books to encourage her students to read. A unique reading contest in a game format was created by Mrs. Ruffin. 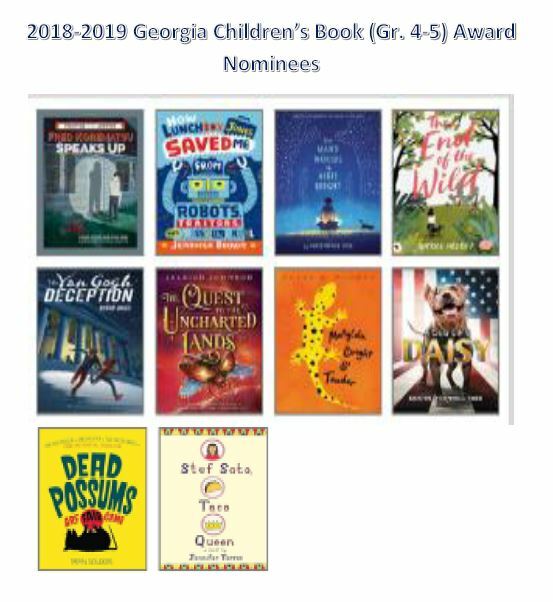 She envisioned having teams of students from different DeKalb schools to read the required list of Georgia award-winning nominee books and compete in the question and answer game format, testing their knowledge of the books read. Mrs. Ruffin shared this vision with her colleagues in the DeKalb Schools. It was well-received. Hence, the Helen Ruffin Reading Bowl (HRRB) tournament was conceived and started with DeKalb schools. Today, the Georgia HRRB is open to students in grades four through twelve across the state. There are now five regional reading bowls held each year at the end of January or the first Saturday in February. The first and second place winning teams from the regional bowls continue on to compete in a divisional bowl. First place winners in the divisional bowls go on to compete in the state reading bowl during the annual Children's Literature Conference held in Athens, Georgia at the end of March. The reading bowl champions at the state level are announced at the closing of the children's conference, along with the winning books from the Georgia Book Award contest.